Halloween is fast approaching, and we’re so ready! 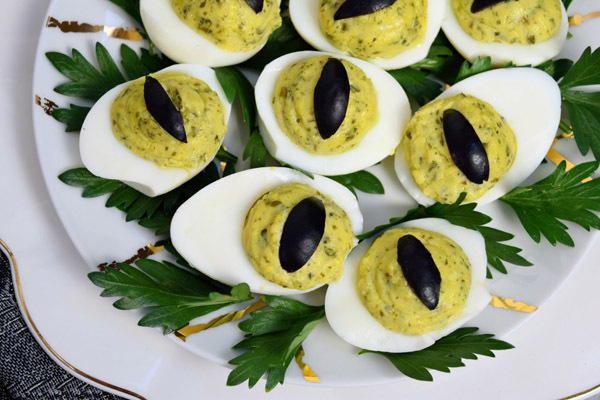 It’s never too early to try out these 15 recipes inspired by the spookiest holiday. As summer gradually draws to a close, we’re all about the spiced desserts, warming drinks and baggy jumpers. In fact, we’re embracing autumn with open arms! And with the new season comes preparation for the next big holiday – Halloween. Despite the crazy amount of gluten-filled candy these days, rest assured that there are many GF recipes perfect for Halloween. We’ve listed some below. 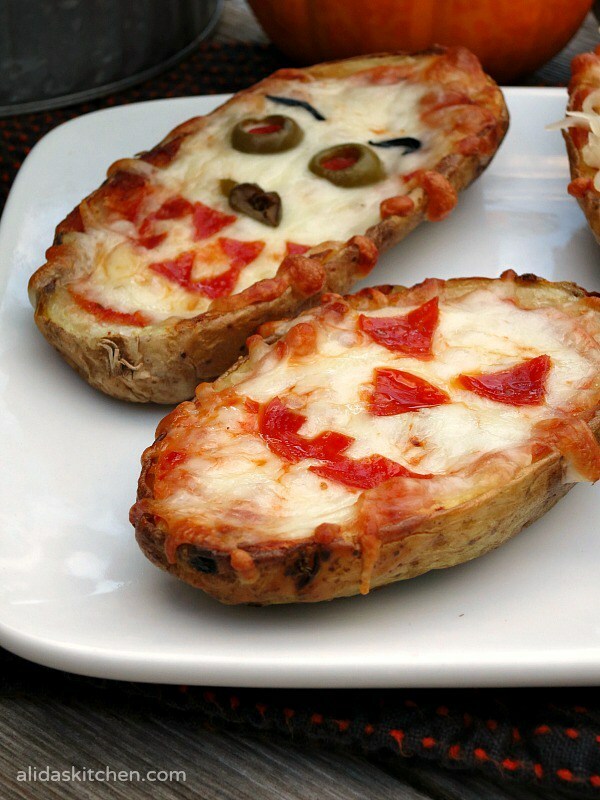 Go wild with the toppings on these healthy(ish) potato skin pizzas! 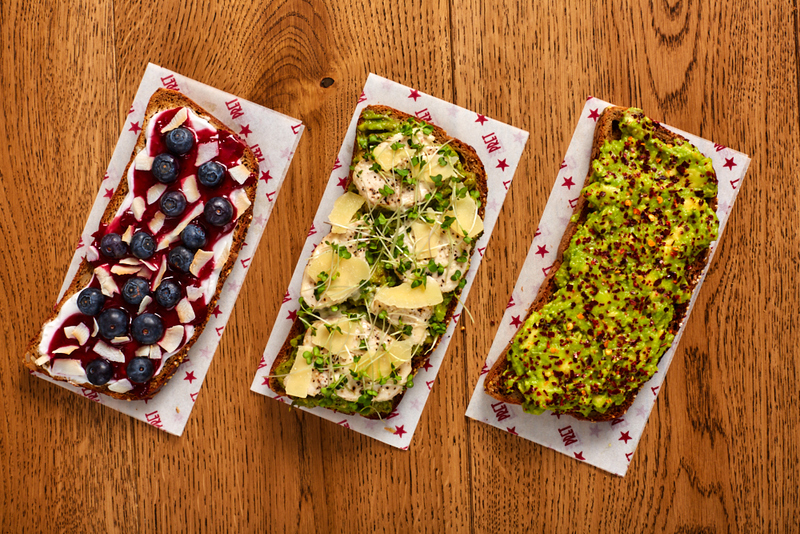 From zombies with olive eyes to pumpkin faces made from sliced tomato, creative decoration is what makes these perfect for a spooky dinner. 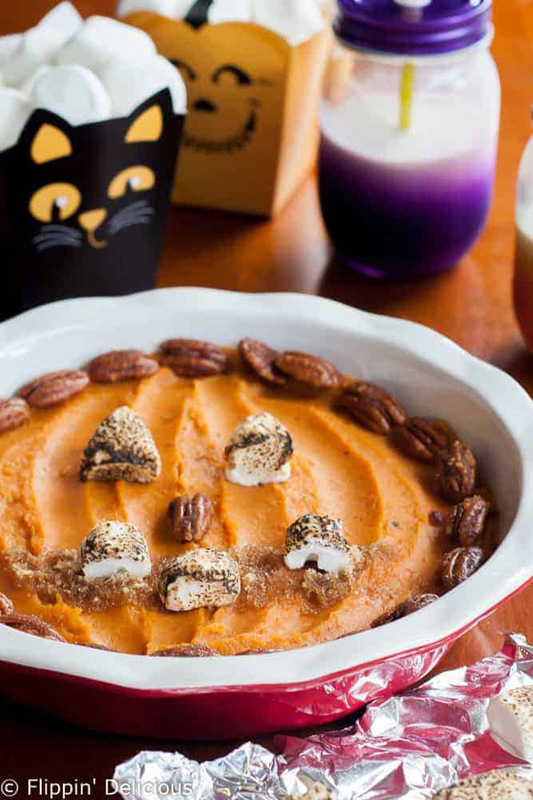 Prove that Halloween can be about more than just sweets and chocolate with this fun recipe. It’s the ultimate late-autumn dish, full of cinnamon, sweet potato and pecan flavours. 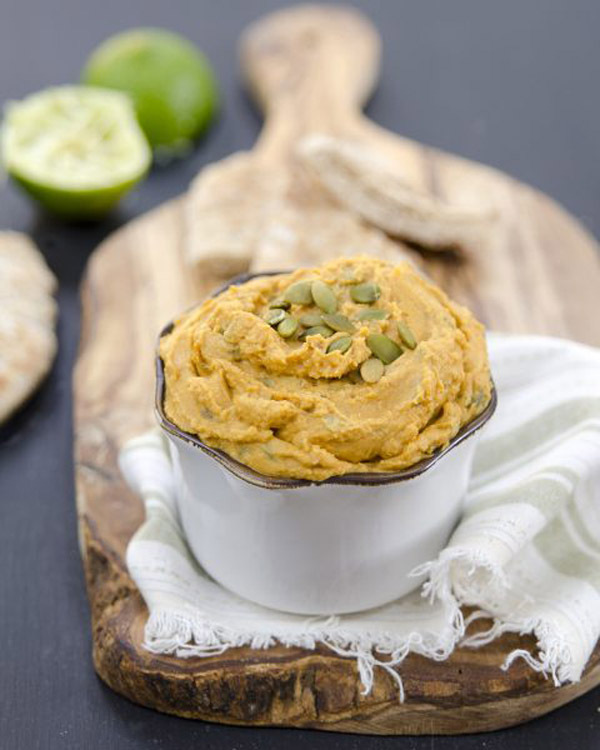 Warming, filling, and perfect for dressing up as a pumpkin! After all the pumpkin carving, we’re going to have a lot of pumpkin to work with! So why not use it in this wickedly good hummus recipe? You could even make some bell pepper creepy fingers to go with the dip! For fans of pesto, these little snacks are incredibly easy to make, and even easier to snack on! They make the perfect addition to any Halloween spread. Just make sure to chill them for a while before serving. 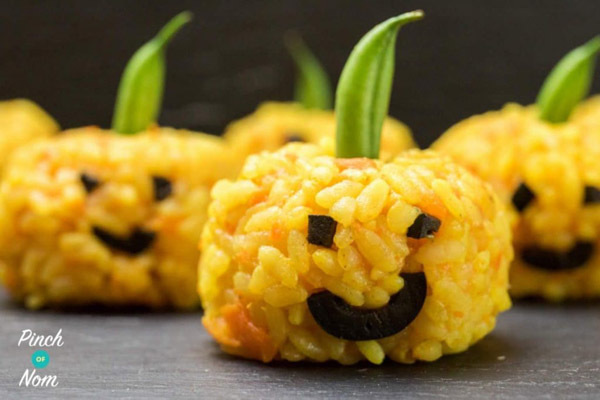 If you’re trying to stay healthy this Halloween, make yourself these savoury treats with no guilt attached! No syn pumpkin sushi balls are easy to make, good for you and definitely look the part! 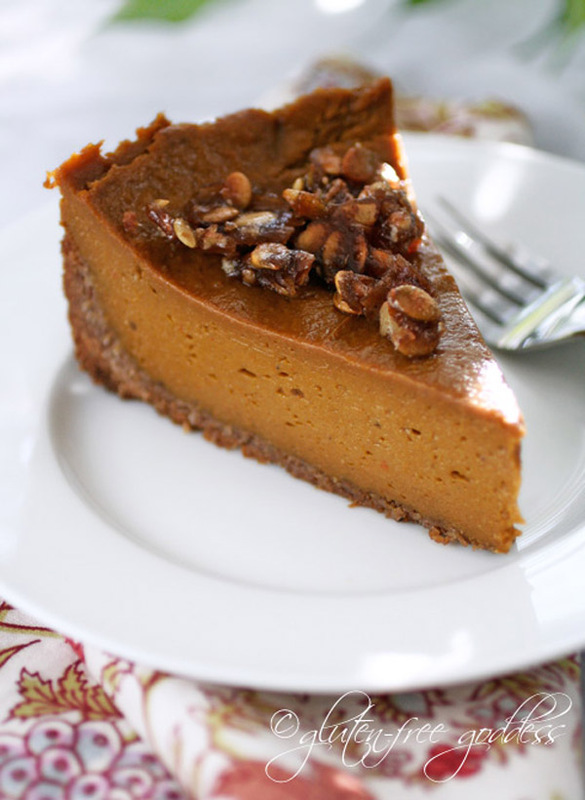 Make sure that you scroll down to the gluten-free recipe for this pumpkin pie (there are a few different options). 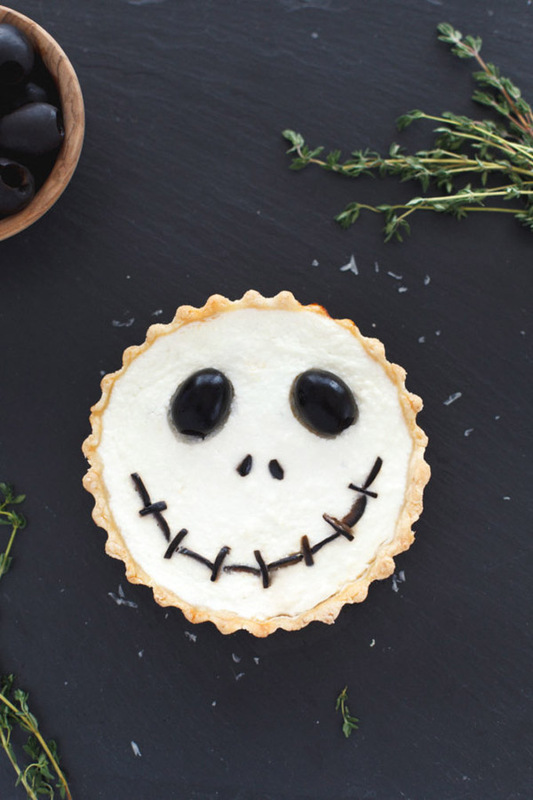 While this one doesn’t look scary, it’s a seasonal dessert with a fab taste – great for a classy Halloween gathering. 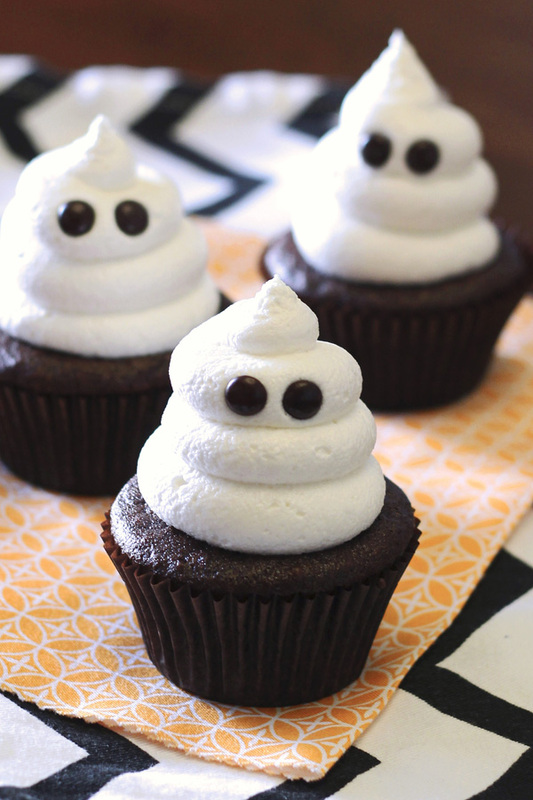 These buttercream ghosts really stand out against the chocolate cupcakes. If you’re pressed for time, they’re a quick and easy bake with great results every time. 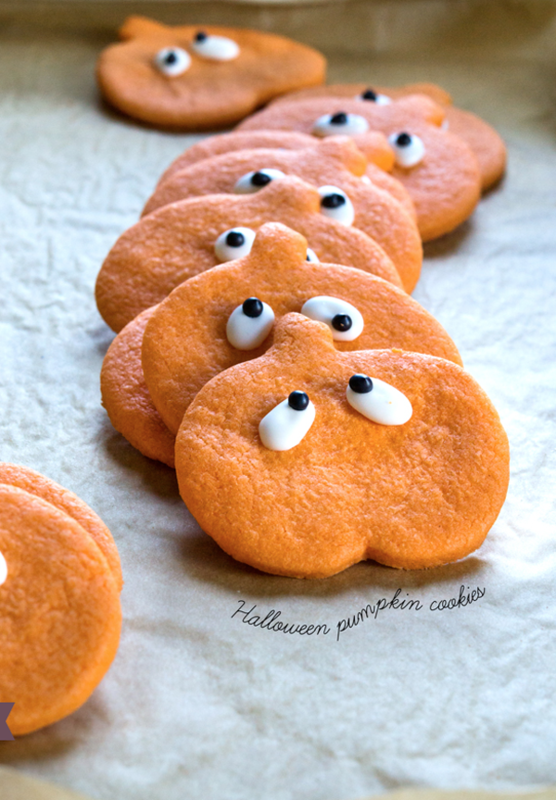 And they’re even a little bit cute, so you won’t worry about scaring the kids! 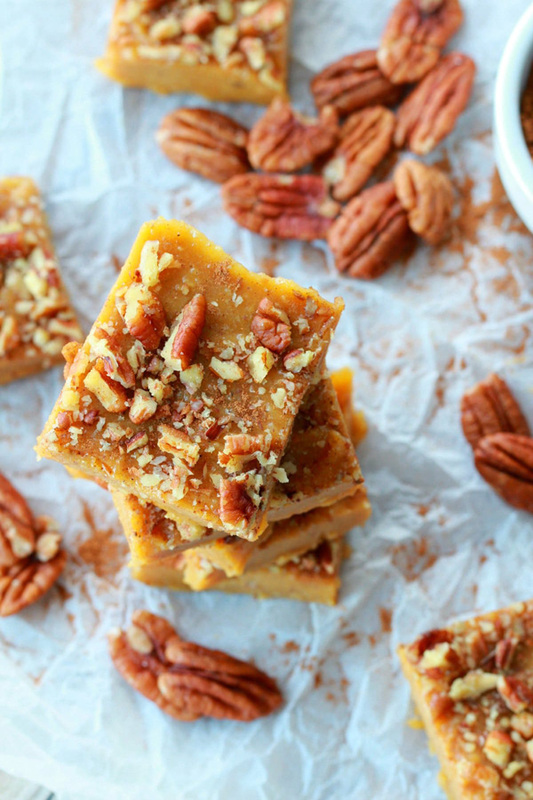 Only 5 ingredients go into this spectacular pumpkin fudge. It packs a warming punch of flavour and looks divine with its range of autumnal colours. If you want the perfect homemade touch, make your own cashew nut butter. Another simple but effective bake, these bright pumpkin sugar cookies are bakery-soft and easy to decorate. They have only been given eyes in this recipe, but you could easily jazz them up with various royal icing designs. 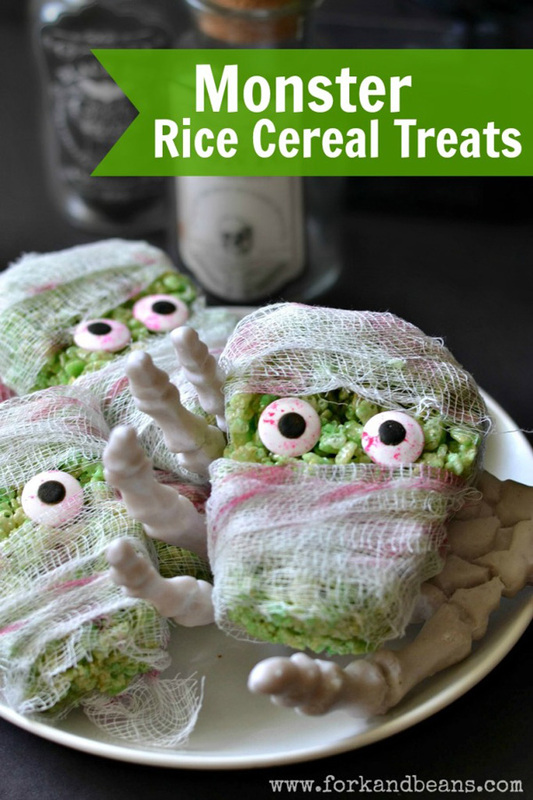 Gluten-free cereal never looked so ghoulish! These Halloween snacks are all about the presentation, so go crazy with the wrappings and the bloodied candy eyes. You can squish and shape them into skulls without a cutter, too. 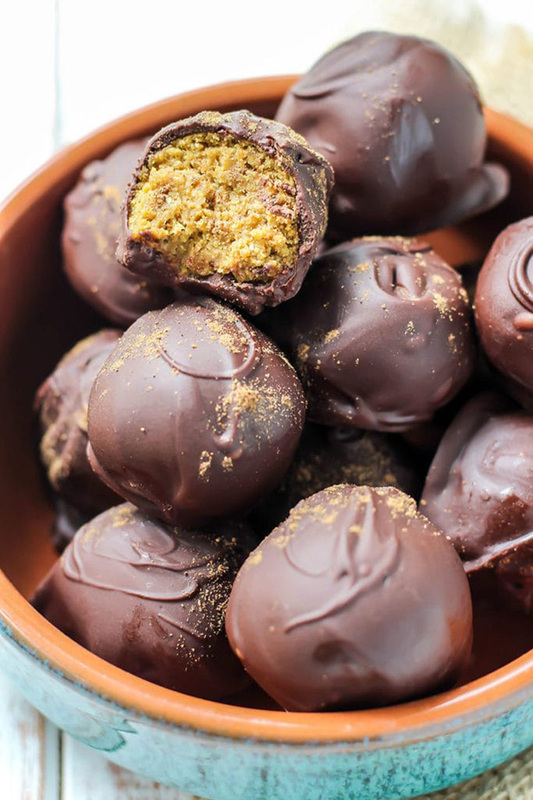 Jump on the pumpkin spice train with these indulgent truffles. Once they’ve set, decorate them with spooky patterns if you wish. Warning: the scariest thing about these Halloween treats is how moreish they are! We can’t think of much that sounds nicer than pumpkin caramel sauce! 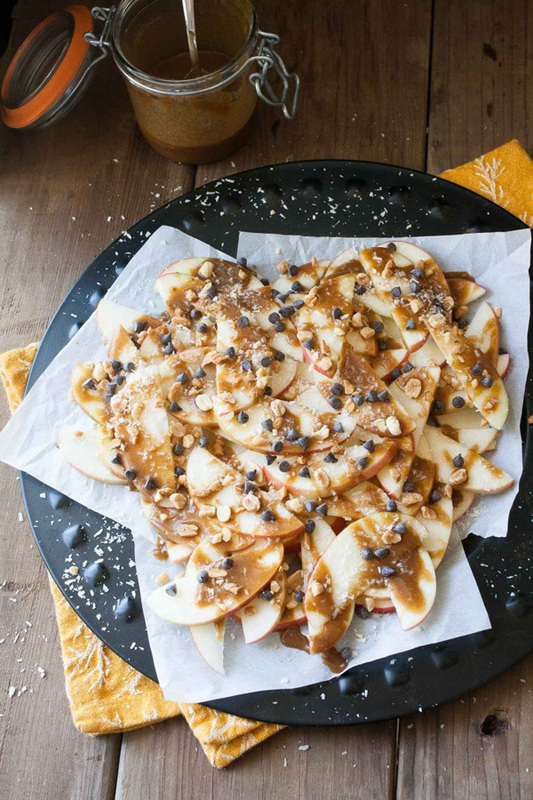 Layer the chocolate and caramel onto slices of fresh apple for a (ever so slightly) healthier Halloween dessert or snack. Drawing spooky faces on glasses or jars is an idea we’re certainly going to try this year! 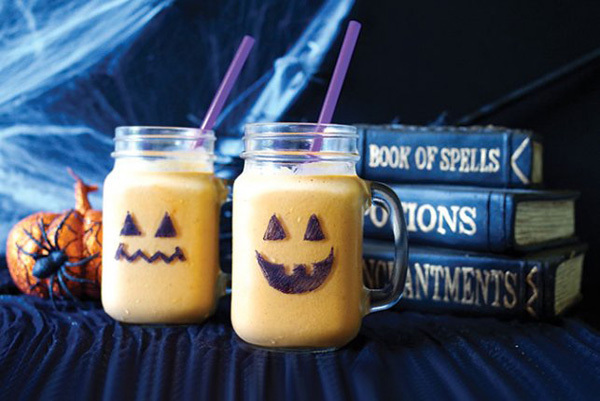 With a couple of triangular eyes and a gap-toothed grin, this pumpkin smoothie is transformed into a perfect Halloween beverage. Who knew lychees could make such realistic bloodshot eyes? 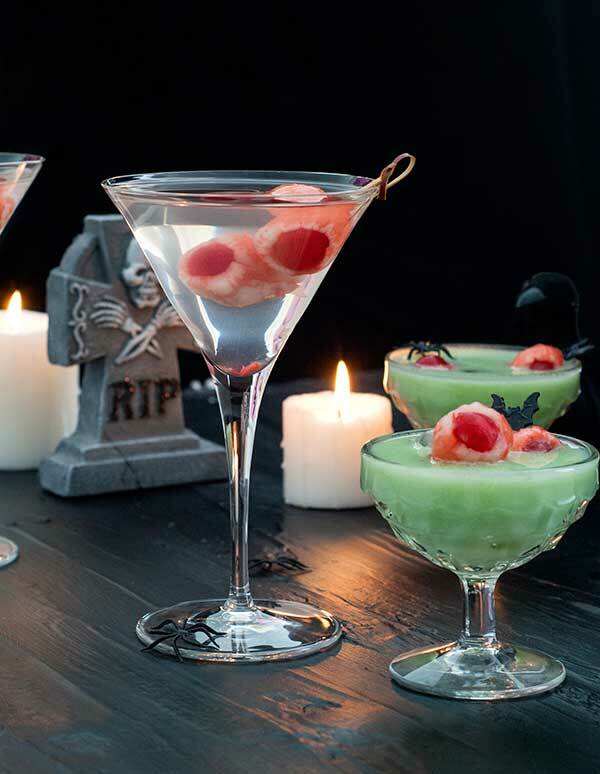 They’re the perfect addition to any Halloween cocktail or mocktail, and keep your drink nice and cool when you pop ice cubes inside them!